Hi guys! Gosh I’m just realizing it’s been a week since I’ve done a fashion post! I guess I’ve just had a bunch of other stuff on my mind lately and I pretty much always blog about what I’m thinking about at the moment. I kind of consider this site to be like my open journal. I truly tell you guys everything that’s on my mind, and in return you guys have given me so much love and support. Today I’m back to fashion! And more importantly, affordable fashion! What got me thinking about one of my favorite sites, Chicwish, was that I started fantasizing about all the fun clothes I’m going to get to where after this baby comes! Ha! It’s been so long since I’ve been able to wear something with a waist. 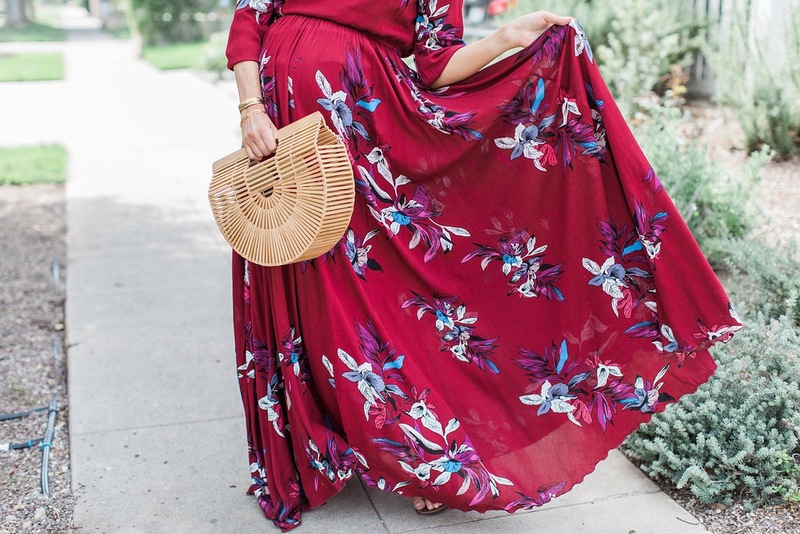 So while I was on the Chicwish website picking out the cutest things for post-baby, like THIS ADORABLE DRESS (that’s in all caps because I’m obsessed), I realized that I hadn’t shared the below floral maxi dress with you guys yet. It’s such a great dress that I definitely wanted to share with you. I wore this dress this past weekend at almost 36-weeks pregnant and it still works with my baby bump. I actually bought it particularly for an event I went to a few weeks ago, so I sized up from my normal pre-pregnancy size. I’m normally a size medium but I got this dress in a large. But honestly, the size large was almost too big for me, even with my big bump, so I would recommend sizing down in this dress if you are between sizes. It’s also a really great maxi dress if you’re tall! I’m 5’7″ and as you can see from these photos, it still hits the ground and could even be taken up a couple inches. I didn’t get it taken up because with my big bump it was short enough in the front. But if you’re not pregnant and under 5’8″, you might want to get it hemmed if you wear it with flats. But for all you tall girls out there (or if you plan to wear it with heels), this is a great maxi dress because it will actually be long enough! I know maxi dresses that are a good length are hard to find for taller women. Scroll for more affordable looks from Chicwish! 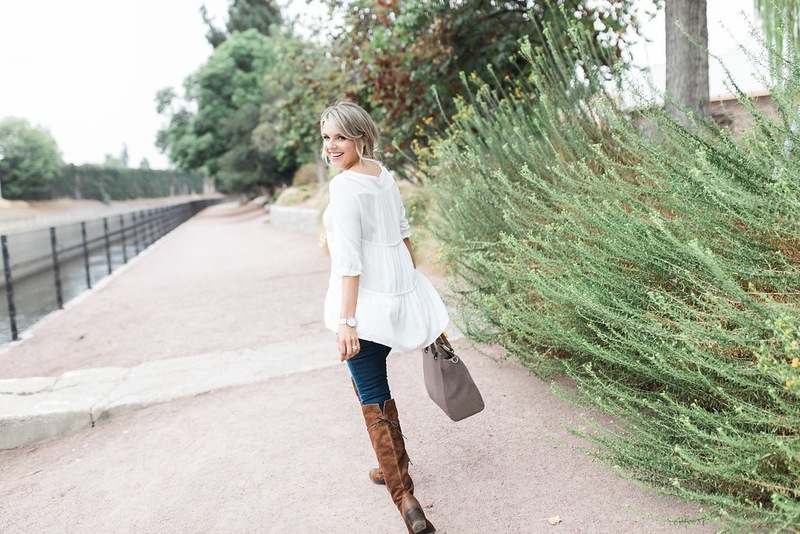 Including the CUTEST $30 white tunic! I wanna share some of my other favorites from Chicwish that I wrote about last month. They are all so good that I had to share again! The below blush floral dress is just gorgeous. I am wearing a size large, but normally (not pregnant) I would be a medium. This tunic is one of my favorite tops that you’ve probably seen me wearing multiple times in different blog posts and on my Insta story. 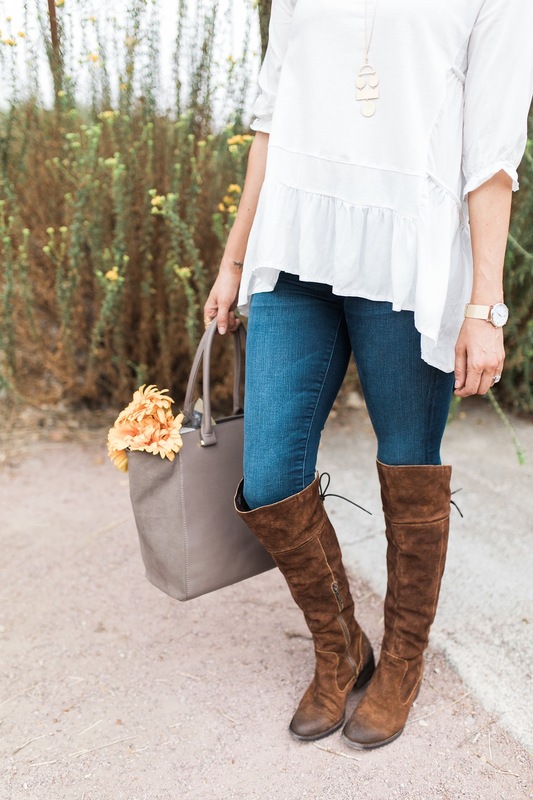 It’s so easy to throw on and look cute! The heart necklace I’m wearing is also a fave of mine! So pretty and romantic! And last but not least is this white top! I’ve had this white top for a year or so. It’s also from Chicwich and is still available! It’s restocked all the time because it’s one of their best sellers. Did I mention this top is UNDER $30?! I am wearing a L/XL FYI. I wanted it loose fitting. Hope you guys love these looks as much as I do! And really you should just check out Chicwish in general if you haven’t already. They are a fave of mine and I know will become a fave of yours too! Check out some of the pieces I just ordered for after baby (all of the above are non maternity but worked with my bump!). So excited to get them! What item below would you like me to review on my blog after baby? And oh my gosh they JUST started carrying kid’s clothes. I am trying to decide what adorable dress below to get for Molly. Help me pick one! Aren’t they all so cute?!?!? Ok Ali, do you ever stop? Ha! Your always on the go! I can’t keep up with you! Lol! I had thought maybe on the weekends that you take time to be with Kevin and Molly! Then I check out to see if you had blogged on Saturdays and THEN YOU ARE! Our breath of fresh air! Ha! Thank you! I’m so thankful to you to share your everyday life with us.. If any of else had ever met up with you, you would definitely know who we are by us telling you our name! I definitely count you as a true friend! Thanks 🙂! I say buy, all three! It’s a reasonable company and Good Golly Miss Molly would be looking quite cute in all three! Ha! I love writing this blog so I rarely ever stop! I will 100% be taking a break once baby comes though. I love the first little floral dress option for Molly! Super cute & dainty looking. I love the sandals you’ve been wearing lately in many of your posts. I have these also & they have been my go-to sandals so far this spring. I ordered them off of Poshmark new & saved a TON on them! I am pregnant also–rounding out my 33rd week, so not too far behind you! Do you have plans to announce your little mans name anytime before he arrives? We are keeping our daughters name a surprise until she arrives, and I wasn’t sure if that was your plan, too! We haven’t told the name because we don’t have one! But even if we did, we would probably wait to announce until he’s born. We are still deciding!!! And I hope you are having a good pregnancy so far!!! I would say get Molly the first two. They are gorgeous! I might have to get two! They are just the cutest. Perfect for summer events. Maybe even for family photos after the baby is born?! Yes, definitely perfect for family pictures! based on your reviews I bought two of the tops you had raved about, but sadly having issues getting them to me. It has already been 3 weeks, and looks like it mas miss shipped, chicwish customer service telling me to wait another week before they will resend 🙁 super bummed because I wanted to wear one of the tops this weekend. If you buy, be sure to expect at least 3 weeks to get the items! Awww bummer! Shipping can definitely take a long time and when items are popular – even longer because they have to make them and then ship them! I’ve gotten things in 1 week, but other times it has taken 3 weeks. It just depends. Sorry you aren’t getting in time for your event. But I really think you will love them when you get them! I love everything that I review on here! I hope so! Hopefully the post office can find the shipment somewhere… I got the larger sizes because I am also expecting (24 weeks) and want to be able to wear them lol! I got the L/XL bc I knew I would be SUPER pregnant wearing it. But I honestly think the s/m would have been fine! I feel like you can’t go wrong nomatter what size you get if you’re in-between. I especially like your white top & I’m thinking of buying one for a ‘me’ treat. I think Molly would look adorable in any of the dresses but the 1st one is really nice. I bought two of these items! Hope they fit. I’m short but also a lot larger than you! You are adorable!! Please respond. I love your blog. Love you back for reading my blog and commenting! xoxo Hope you love what you ordered! Hey Ali! 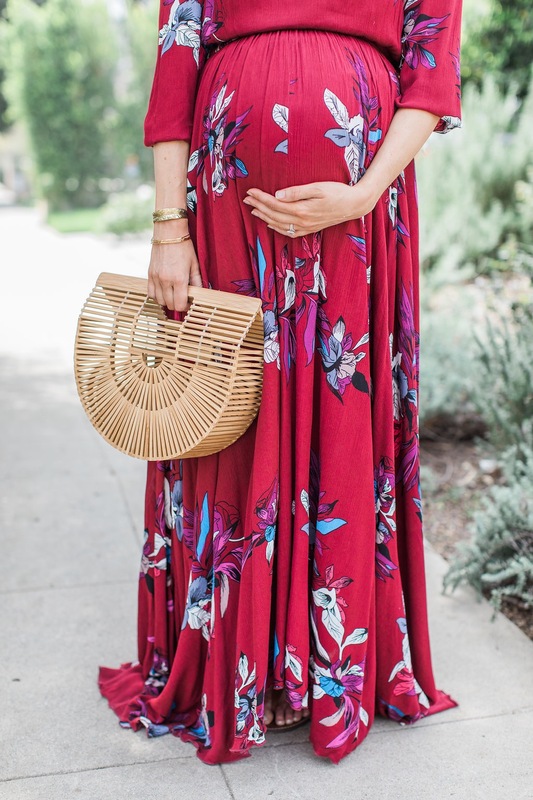 I really enjoy your fashion posts because I’m 27 weeks pregnant and am always looking for some baby bump inspo… in fact I’m expecting that mint floral tunic to be delivered to my house any day now… can’t wait to wear it on my first Mother’s Day as a soon to be mama. Thanks for instroducing me to Chicwish! Hope you continue to feel well and hang in there! You are going to LOVE it! I am wearing it right now as I type this! 🙂 Happy Early Mother’s Day! I like the 1st dress for Molly. It is sweet, dainty and very little girly. The 2nd one looks pretty formal, almost like a flower girl dress for a formal wedding. The 3rd dress looks frumpy and heavy and just too much dress for an active, adorable little Southern California girl in the summer. Happy weekend! I hope you spend a lot of time relaxing by your pool, going for walks and taking naps! I’m sure you and Kevin will discover a great, fitting name for your little boy! You certainly have had a zillion darling names shared by your followers and some names I cannot even imagine considering! Ha Have! Hi Ali! 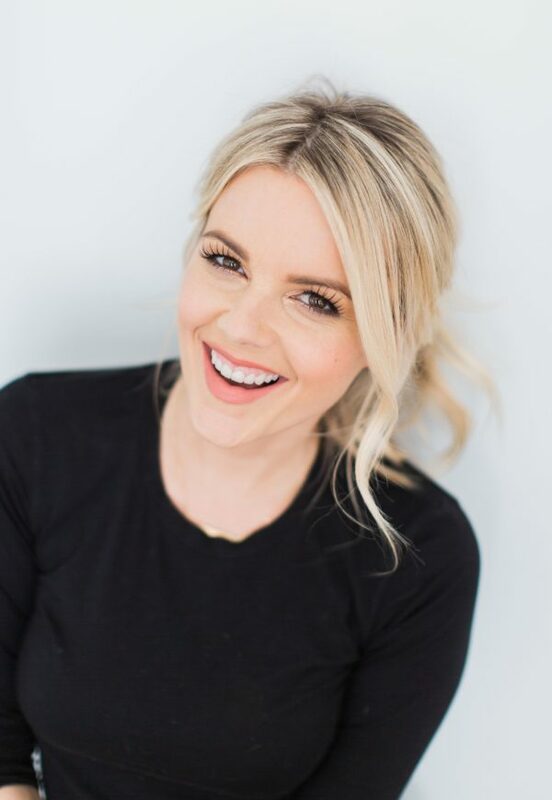 Love seeing your posts each time on the blog! I was wondering what area in Los Angeles are you in and do you find it safe and family friendly? Thanks! Hi Ali! I love the white top. Think I’ll order it. Best of luck with the rest of your pregnancy and delivery!